Flora Margaret Whelan BEM - Brighton technical school, Victoria, Australia. 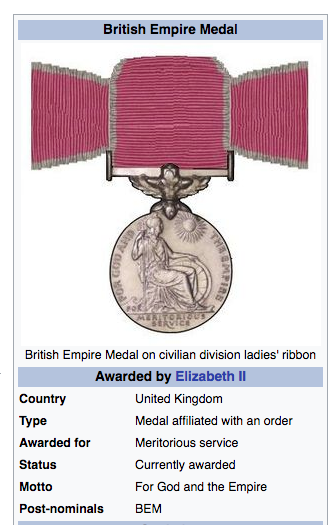 (British Empire Medal – Civil Division, 1970). Formerly a Student at Brighton Technical School, Victoria, Australia. A copy of the photograph of Flora Margaret Whelan from the 1988 "Seaspray", page 64. Flora Margaret Frances Whelan was born to Francis Gordon Whelan, and his wife Mabel Lucretia Whelan, née McGuire, at St. Kilda, Victoria, on the 10th. September, 1918. Flora attended Brighton Technical School between the years 1931 – 1934. She was a prolific contributor to the early “Sea Spray” Magazines and later, after she left the school, she contributed articles to “Sea Spray” on behalf of the Brighton Technical School Old Girls’ Association. Flora was a member of the Committee of the Brighton Technical School Old Girls’ Association in 1937. And ancient Celtic legends picturesque. Your courage and fidelity I love. Of Switzerland’s largest lake of lilac hue. I hear God’s handiwork condemning war. And pleading peace with prayer and silent psalm. ​In 1939, the Sands & McDougall’s Directory carried a reference to Francis G. Whelan (Flora’s father), whose residential address was listed as 310 Inkerman Street, St. Kilda. An introduction from a B.T.S. past student helped Flora secure an office junior vacancy in the highly competitive employment market. So began a varied and eventful office career. Highlights include serving as a member of the Secretariat for the first British Commonwealth Conference, Canberra, 1947, also, the seven years as a Ministerial Typist on the staff of three Ministers, one being the Rt. Hon. R. G. Casey, (later Lord Casey). In the 1950s. Flora left Melbourne and adopted Canberra as her home, loving it for the rest of her life. Memorable office experiences overseas were working for a Harley Street, Accountant, and for Solicitors in one of the famous Inns of Court, London. Even more breathtaking, was as acting as Secretary to the Governor from Australia to the International Atomic Energy Agency during three conferences held in the Hoffburg Palace, Venice. After many years as Personal Assistant to the Permanent Head of the Department of the Army, came the culmination – the totally unexpected award of the British Empire Medal. (BEM). British Empire Medal (Civil Division). to the Secretary, Department of the Army, Canberra. Flora continued to write social comment articles for newspapers until she was nearly 80 years of age. Her thoughts on “Christmas” appeared in “The Canberra Times” on Monday, 16 December, 1974, page 2. SIR, - I wholeheartedly support Garth Cameron’s reasoned plea for less “parties” this Christmas. (Letters, December 2). When so many in the world are starving, how can we justify over-indulgence in high living and other luxuries? “Inasmuch as you do it for the least ……you do it for Me”. Florence Whelan published a “thank you” notice in “The Canberra Times” on the 17th. September, 1983, just one week after her 65th. birthday. On the 4th. May, 1995, page 12, the following article appeared in “The Canberra Times”. “I FELT PART OF THE PILGRIMAGE. the pilgrimage (and I quote) “made for us all”. Flora Margaret Whelan B.E.M., died at the Mirinjani Hostel, Weston, on the 9th. August, 2014. The members of her family published a Tribute to Flora in “The Canberra Times” on the 16th. August, 2014.
secretary, former Department of Army. Canberra as her home, loving it ever since. ​ Friday 22 August, 2014, commencing at 10.30 am. The Marriage and Death Certificates relevant to Flora’s parents, provide interesting background information relating to Flora’s siblings. Francis Gordon Whelan, (Flora’s father), Hairdresser, aged 82 years, died at 310 Inkerman Road, East St. Kilda, on the 12th. October, 1967. He was survived by his wife Mabel Lucretia Whelan and children : Merle, 50 years, Flora, 49 years, Frank, 47 years, Isobel, 46 years, Gilbert, 43 years and Ruth, 39 years. Mabel Lucretia Whelan, née McGuire, (Flora’s mother), died aged 91 years, at 32 Walpole Street, Kew, on the 16th. August, 1978. She was born in St. Kilda, Victoria. Mabel Lucretia was survived by her children : Merle, 61 years, Flora, 59 years, Frank, 57 years, Isobel, 56 years, Gilbert, 53 years and Ruth 50 years. Francis Whelan, Hairdresser, aged 30 years, married Mabel Lucretia McGuire, Costumiere, aged 28 years, at the Congregational Church, St. Kilda, on the 29th. A perusal of the 1930s. “Sea Spray” Magazines revealed contributions from not only Flora, but her sister, Isobel, as well. The 1939 “Sea Spray” records the name of Flora’s brother, Gilbert. So it can be assumed that at least three of the Whelan’s six children attended Brighton Technical School. Little is known of Flora Whelan’s private life, other than she did not marry. It must be remembered that Flora turned 21 years of age in 1939, the year that World War II commenced. Was she personally impacted by events that followed Australia’s Declaration of War in 1939? We, past Brighton Technical School students, salute you Flora Whelan. Tributes & Celebrations, “The Canberra Times”, 16 August, 2014. “Seaspray” Volume 65. 1988. The Bicentennial Edition. Edited by Jill Mazzotta and Robert Nixon. Page 64. “Sea Spray” the magazine of the Brighton Technical School, 1937, 1938, 1939. The “Supplement to The London Gazette”, 13th. June, 1970, page 6403. “The Canberra Times”, 16 December, 1974, page 2. “The Canberra Times”, 17 September, 1983, page 21. “The Canberra Times”, 4 May, 1995, page 12. Marriage Certificate. Francis Whelan to Mabel Lucretia McGuire. Death Certificate. Francis Gordon Whelan. 12 October, 1967. Death Certificate. Mabel Lucretia Whelan, née McGuire. 16 August, 1978.